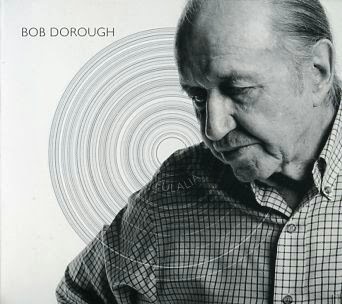 "There's nothing musical that Bob Dorough can't accomplish, and a Bob Dorough accomplishment is always sound musically, always original and fresh, and no matter what the category may be--jazz, symphonic, baroque, choral, country, medieval, or songs for kids--it is all conceived with utmost ingenuity and unrivalled craftsmanship, and with a passion that gleams from everything he puts his mind and heart to." The two songwriters also co-operated on the Blossom Dearie classic, I'm Hip. Singer, pianist, composer, arranger - you name it. *Dave Frishberg: My Dear Departed Past - Backbeat Books 2017. Sad to hear this news. I've got the album 'Devil may Care' and it's a delight from start to finish. He had his own very personal 'hip' interpretation of song lyrics that had great charm. Listening to the album just makes you smile. It's a gem. Plus Multiplication Rock which he was largely responsible for. A children's counting and multiplication record but a very good one. De La Soul sampled Three is a Magic Number from it.